Own one of the third versions of our popular SparkFun Inventor’s Kit and not ready to buy version 4.0? You are in luck! 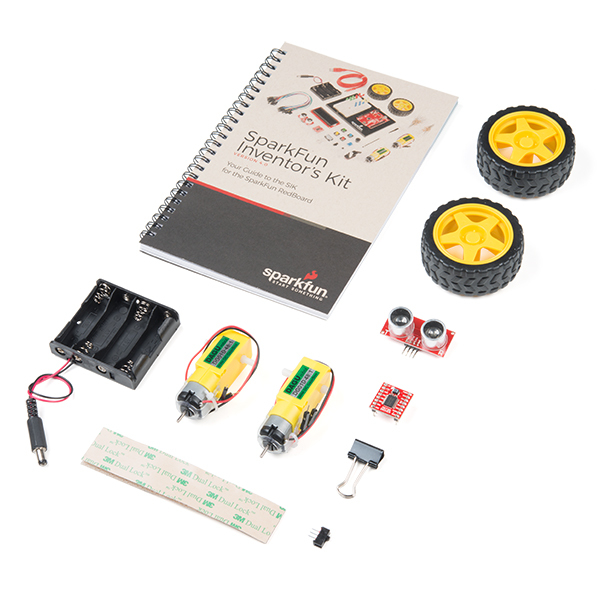 The SparkFun Inventor’s Kit Bridge Pack was designed to provide you with an easy way to move into the next SIK edition without buying a whole new kit. Each Bridge Pack includes all of the new parts found in the SIK v4.0 that aren’t in any of the version 3 kits, as well as the most up-to-date, spiral-bound guidebook so you can get started right away! Note: The Bridge Pack is NOT a full SparkFun Inventor’s Kit and only includes the parts to complement an older version of the SIK to make it compatible with the version 4.0 projects.